Now our next study in Mark's gospel is found in Mark chapter 10, and we're beginning to read at verse 28 through to verse 31 - so Mark chapter 10 please, and verse 28. The title I have chosen for this message is: 'You Can't Lose'. Verse 28 then of Mark chapter 10: "Then Peter began to say unto him, Lo, we have left all, and have followed thee. And Jesus answered and said, Verily I say unto you, There is no man that hath left house, or brethren, or sisters, or father, or mother, or wife, or children, or lands, for my sake, and the gospel's, But he shall receive an hundredfold now in this time, houses, and brethren, and sisters, and mothers, and children, and lands, with persecutions; and in the world to come eternal life. But many that are first shall be last; and the last first". Having witnessed the rich young ruler going away sad, because he was very rich; and having heard the Lord's subsequent explanation of the matter - that, if you look at verse 23, 'How hardly shall they that have riches enter into the kingdom of God! ', and verse 25, 'It is easier for a camel to go through the eye of a needle, than for a rich man to enter into the kingdom of God' - the disciples appear to have concluded that they may have succeeded where the rich young man had failed. Peter, again acting as spokesman for the twelve, says in verse 28: 'Lo', or behold, look, 'we have left all, and have followed thee'. Now that was true in a sense, because Peter and John had left a lucrative fishing business to follow the Lord Jesus. Matthew the tax collector had left a rich source of income at the seat of custom. So Peter appeals to the Lord: 'We have left all and followed Thee'. Now, what was behind that statement of Peter's? I want you to think about that for a moment, because it's important that we don't take it at a superficial level and we understand the motivation for the apostle in asking this question. Now we might answer: 'Well, the motivation in him saying this was sincerity. He truly felt that he had given up all for the Lord Jesus, and he was just exclaiming that in the light of what had happened the rich young ruler, walking away sad, not willing to give up all his riches for the Lord Jesus'. But let me ask you a question if you, perhaps, perceive that that was his motivation: if you were sincere in giving up everything for the Lord Jesus Christ, would you say it the way Peter did here in verse 28? 'Behold', lo, everyone look, 'we have left all!'. I don't think you would - and, in fact, in Matthew 19:27 we have Peter's words in the same context as this, but Matthew records a little bit more for us. He says that Peter said: 'Behold, we have forsaken all, and followed thee; what shall we have therefore?'. So there seems to be a sort of selfish motivation here with Peter. I don't think it's sincerity that is behind this statement - maybe it was smugness? It was as if Peter was saying: 'Well, we have done what the rich man could not do. We have arrived! We have given up all and followed You!'. That may well be the motivation, maybe also he was seeking affirmation. He was looking to the Lord and saying: 'Lord, aren't we special for what we have been able to give up to follow You?'. Maybe he wanted the Lord to sort of give him a spiritual pat on the back. Perhaps, finally - and there may be other suggestions - mine finally is that there was a tone of sacrificial self-pity in Peter's statement. It's as if he's saying: 'Lord, we have sacrificed a lot for You. Lord, look at what we have given up You! The rich man couldn't do it, but look at what we have given up for You!'. Now, some might say it might be a combination of all these factors: sincerity, smugness, self-affirmation, sacrificial self-pity - but I happen to favour the latter. This really was self-pity, and this is borne out by what Matthew records. Peter's motivation is: 'Lord, what will we get out of this?'. Perhaps Peter may well have been thinking that the rich young ruler seemed to be a little bit better off than they were with all his riches and his position in life - and yet they had given up everything for the Master, and he's asking: 'What do we get out of it?'. Now if this is the case, and I believe it is, we have to say that Peter - speaking on behalf of the twelve - is articulating the fact that the twelve have missed the point again, that point that the Lord Jesus was trying to teach them. If you remember from our previous study of the rich young ruler, the point of the incident with the rich young ruler was that the Lord did not want that young man's goodness, but He wanted him to admit his badness. He wanted him to bring to Him his self-righteousness and his love of riches, and Christ wanted his brokenness, and then Christ would do what was impossible for the young man to do himself - who, remember, was obsessed with what he could do. Look at verse 17, just to remind yourself, he came to the Lord Jesus: 'Good Master, what shall I do that I may inherit eternal life?'. The Lord wanted him to realise he couldn't do anything - could it be that the disciples had fallen into the same trap as the rich young ruler? 'We have done', they are thinking, 'we have done this terribly difficult thing' - what difficult thing? What the Lord asked the rich young ruler in verse 21: 'Jesus beholding him loved him, and said unto him, One thing thou lackest: go thy way, sell whatsoever thou hast, and give to the poor, and thou shalt have treasure in heaven: and come, take up the cross, and follow me'. The disciples, through Peter, are saying: 'We've done this!'. Again, I think they're missing the wood for the trees, because we've got to understand that the Lord here is not interested with the specifics of what the disciples were giving up for Him. He's not interested with the specifics of what we give up for Him. The lesson of the rich young ruler is that He wants brokenness first, He wants us to give up our own self-righteousness, and He wants, effectively, us to give up ourselves to Him! That's what the Lord wanted the rich young ruler to do. He wasn't interested in his riches, and He's not specifically interested only in riches, your house, or your land, or whatever you have to offer - what the Lord is saying to us through these passages is: 'My son, give me thine heart! I want you, and all of you'. Now, when I thought about this - and I feel that this is the real crux of the message - I was reminded of the example of the churches of Macedonia who had given liberally to those saints of God who were so needy. It says in 2 Corinthians 8 that they give out of their poverty, so they hadn't got much to give, but even out of poverty they gave liberally. The reason, it seems, that they were readily able to make apparently great sacrifices was simply because they had given their hearts to the Lord first. He had all of them! That's what 2 Corinthians 8:5 says in this regard: 'but first gave their own selves to the Lord, and unto us by the will of God'. They had already given up themselves in brokenness to the Lord, so any other sacrifice or thing that was asked of them was nothing in comparison to their initial surrender! Now, read again verse 28 in the light of what we have just said: 'Then Peter began to say unto him, Lo', behold, look, 'we have left all, and have followed thee'. Do you not hear the self-pitying tone? You see, I think Peter and the disciples had yet to learn: if you have given up on yourself, and given your broken self to the Lord - here is the message today - there are no real sacrifices when you have given up yourself to the Lord Jesus. You see, there's no real sacrifices when you must give things up for Jesus - that's what this is teaching, verses 29 and 30: 'Verily', Jesus responds, 'I say unto you, There is no man that hath left house, or brethren, or sisters, or father, or mother, or wife, or children, or lands, for my sake, and the gospel's, But he shall receive an hundredfold now in this time, houses, and brethren, and sisters, and mothers, and children, and lands, with persecutions; and in the world to come eternal life'. You see, what the Lord is really responding with is again the message of the cross. This is the gospel of the cross, this gospel of the Suffering Servant, and He's teaching them again the way of the cross - and of course that's what He ends on in this passage. Verses 32 through to 34, let us read that as well: "And they were in the way going up to Jerusalem; and Jesus went before them: and they were amazed; and as they followed, they were afraid. And he took again the twelve, and began to tell them what things should happen unto him, Saying, Behold, we go up to Jerusalem; and the Son of man shall be delivered unto the chief priests, and unto the scribes; and they shall condemn him to death, and shall deliver him to the Gentiles: And they shall mock him, and shall scourge him, and shall spit upon him, and shall kill him: and the third day he shall rise again". Again, the Lord's point is always that glory is through the shame of the cross. He had taught them this, had He not, regarding discipleship? Mark 8:34: 'Whosoever will come after me, let him deny himself, and take up his cross, and follow me'. Now in verses 32 to 34 we have the third major prophecy of Christ's Passion. The first one was in chapter 8:31, and the second in 9:31, and now here this is the most precise. It mentions Jerusalem, that this would be accomplished in Jerusalem. Note please that it mentions Christ's going before them into Jerusalem, and this 'going before' is something that is unique to Mark's gospel. He is depicted as the Leader of His people in suffering. He's going before them, He's taking His cross - that's borne out in Mark 8, He speaks first of all of His cross, then of their cross. Now He's leading them into Jerusalem to die on the cross, and they will follow Him there. He is the leader of His suffering people. Now Mark bears this out not only in relation to the suffering of the Lord, but he leads us as saints of God into glory. At the end of the book, in chapter 16 in verse 7, an angel told the disciples after the resurrection of the Lord Jesus: 'Go your way, tell his disciples and Peter that he goeth before you into Galilee', there He is, going before into glory, 'there shall ye see him, as he said unto you'. So, if He goes before us into suffering, and the suffering comes before the glory - if we want glory, His glory, we must follow His lead in the way of the cross. It is the Calvary Road, constantly, that our Lord Jesus is teaching us here. So Peter's answer is: there are no real sacrifices when you must give up things for Jesus if you've already given up your heart to Him. This is what Paul bore out - who could ever say Paul's message is different than the Lord Jesus'? In Philippians chapter 3:7-8 he says: 'But what things were gain to me, those I counted loss for Christ. Yea doubtless, and I count all things but loss for the excellency of the knowledge of Christ Jesus my Lord: for whom I have suffered the loss of all things, and do count them but dung, that I may win Christ'. Again in Galatians 2:20: 'I am crucified with Christ: nevertheless I live; yet not I, but Christ liveth in me: and the life which I now live in the flesh I live by the faith of the Son of God, who loved me, and gave himself for me'. So what I'm saying to you is that the answer of the Lord Jesus coming back was implying, if nothing else, that: 'If I have died with Christ, then self-pity has died too'. You see, dead people don't have rights, dead people don't feel pain or loss, dead people don't own anything! If I've been crucified, I'm dead to myself, and He has my heart. So if I am nothing, I own nothing; and if I own nothing, I can lose nothing! So there are no real sacrifices when you must give up things for Jesus, if you have already given up your heart to Him. Are you getting the message? C.T. Studd got this message. He was born to a rich inheritance in his family. He had a brilliant career as a cricketer, and his story tells us that he gave it up - all of it up. He summed up that apparent sacrifice in these words: 'If Jesus Christ be God and died from me, no sacrifice can be too great for me to make for Him'. You see, no sacrifice could be too great for C.T. Studd, because the Lord already had his heart. Jim Elliot was of the same spirit. He would die a martyr at the hands of the Auca Indians as a very young man, but he had given his heart to the Lord long before that moment of martyrdom - that was the secret to his life. He said, summing up all that he was and did: 'He is no fool who gives what he cannot keep to gain what he cannot lose'. David Livingstone of Africa graduated as a medical doctor from Edinburgh University, but he was determined to do something for God. He wanted to work in some place in the world where there was great need, so he went to Africa. We know from his story that he opened up new roads into what was called 'the dark continent'. He said these words, I'm quoting: 'I am willing to go anywhere provided it be forward' - so he did, he went forward to Africa. Livingstone said early in his missionary career: 'I will place no value on anything I have or may possess, except in its relation to the kingdom of God. Anything I have will be given according as giving or keeping it shall most promote the Kingdom of my Saviour'. He began his work that ultimately extended 32 years in total, entirely dedicated to the continent of Africa. The first 12 years or so were in missionary travels, and the remainder of those 32 years were unveiling the unknown interior of Africa, where his geographical discoveries placed him at the pinnacle of exploration and achievement. On his last trip to Scotland, the University of Edinburgh conferred an honorary degree upon him. Now in Scottish universities, whenever there was a recipient of an honorary degree there was a custom that the recipient was basically fair sport, fair game, for the rest of the student body as he received his award. The recipient would have to run the gauntlet of all the raucous remarks. They would taunt them and shout, ridiculing them, sometimes with very lurid remarks and criticisms - simply because the person receiving the honorary doctorate had not worked to earn the degree. So, in the day that David Livingstone was about to receive this honorary award, many wondered what the reaction of the student body would be. Do you know what the students did that day? They stood silent in an ovation of respect to this man. There, I want you to picture it in your mind's eye, Livingstone stood, one arm hanging at his side - his shoulder had been torn by a lion in the forests of Africa. There he stood, his skin like leather because the sun had completely destroyed it. With the students standing in silence, Livingstone was heard to say these words: 'Shall I tell you what supported me through all these years of exile among a people whose language I could not understand, and whose attitude toward me was always uncertain and often hostile? It was this: 'Lo, I am with you alway, even unto the end of the world'. People talk', he went on, I want you to hear this, mark it well, 'People talk of sacrifice that I have made in spending so much of my life in Africa. Can that be called a sacrifice which is simply paid back as a small part of a great debt owing to our God which we can never repay? Is that a sacrifice which brings its own best reward in healthful activity, the consciousness of doing good, peace of mind and a bright hope of a glorious destiny hereafter? Away with the word 'sacrifice' in such a view and with such a thought! It was emphatically no sacrifice, say rather 'It was a privilege'. Anxiety, sickness, suffering or danger now and then, with the foregoing of the common conveniences and charities of this life, may make us pause and cause the spirit to savour and the soul to sink - but let this only be for a moment! All these are nothing when compared with the glory which shall hereafter be revealed in and for us. I never made a sacrifice! Of this we ought not to talk when we remember the great sacrifice which He made who left His Father's throne on high to give Himself for us'. Silence hung that day in the air in the McEwan Hall in Edinburgh University. To this day, even, Livingstone's name is still revered among a great many inhabitants across the vast reaches of the African interior. Succeeding generations acknowledge him as a legendary figure who dedicated his life to Africa and her people - that's why, when he died, his heart was buried in Africa, though his body is buried in Westminster Abbey. You see, you've got to understand this message the Lord Jesus is giving in answer to Peter. The Lord is not seeking to motivate us to start giving up valuable things for Him as if we were fulfilling some checklist that will fast-track us to spiritual glory - no! A thousand times no! Rather, what the Lord is saying through all of this passage, including the rich young ruler, is that any true sacrifice is only a sign of a heart that has already been given up to God - that's it! I think it is very well illustrated by the story of Abraham being asked to sacrifice his only son Isaac. As he went up the Mount, and got the wood and the fire arranged, and the boy lying there, and the knife lifted above him ready to plunge into his heart - that is what God asked him to do, was it not? Yet God was not wanting the death of Isaac, God was not wanting Abraham to sacrifice his only son - sure He promised him that he would have him, and from that young boy would come a great nation that would bless all nations. Now, God shows us what His motivation was, as He cries out at that mountaintop: 'Lay not thine hand upon the lad, neither do thou any thing unto him: for now I know that thou fearest God, seeing thou hast not withheld thy son, thine only son from me'. You see, God wanted to know what was in Abraham's heart. This was the great test of his faith, this is the great test of his devotion - he had failed so many before, but now God was wanting to find out whether He had his heart. You see, our motivation - if we have to give things up - should not be reward, but devotion. So there are no real sacrifices when you must give up things for Jesus, if you've already given up your heart to Jesus - for He is worthy. The Lamb that was slain is worthy to receive the glory. Yet, though reward should not be our motivation, there is, Jesus says, recompense of reward. This is very clear in verse 30, let's see verse 29 again: 'No man that hath left house, or brethren, or sisters, or father, or mother, or wife, or children, or lands, for my sake, and the gospel's, But he shall receive an hundredfold now in this time', that's important, 'houses, and brethren, and sisters, and mothers, and children, and lands, with persecutions; and in the world to come eternal life'. Now, it seems to me that in verse 30 there are two types of reward mentioned - there is temporal reward, and there is eternal reward. Let's deal with each of them: temporal reward - what does this mean? That if we have lost these things, and people, and possessions in our life, that we will 'receive an hundredfold now in this time'? Now let it be emphatically said that what is being taught here is not the prosperity gospel that we hear preached, particularly through satellite and cable television. Many of the very famous charismatic preachers tend to be of this ilk, and they espouse to this theology that God desires us to have material prosperity, and those who have faith in Him will have it - will have health, will have success in their business and relationships. Now it is very interesting to note that our Lord Jesus, in all of these things that He mentions, never mentioned money - but what He does mention are material possessions and relationships. What He is saying, it seems clear, is that any of these things - house, brothers, sisters, father or mother, wife, children and, lands - that you lose in one society, 'for My sake and the gospel's', will be restored an hundredfold (by the way, that's 10,000% restored) in the new society that God is creating by grace. That's what verse 30 is about. Now this is not something new in Mark's gospel, because the idea of a new family compensating for the loss of our own family, we encountered in chapter 3 and verses 31 to 35 in the life of our Lord Himself, the Suffering Servant. Mark 3:31, and we read that: 'There came then his brethren and his mother, and, standing without, sent unto him, calling him. And the multitude sat about him, and they said unto him, Behold, thy mother and thy brethren without seek for thee. And he answered them, saying, Who is my mother, or my brethren? And he looked round about on them which sat about him, and said, Behold my mother and my brethren! For whosoever shall do the will of God, the same is my brother, and my sister, and mother'. You see, what the Lord Jesus was talking about here now in verse 30 is a spiritual family. We see this fulfilled in the Acts of the Apostles, in chapter 2 of Acts, verse 41 we read: 'Then they that gladly received his word were baptized: and the same day there were added unto them about three thousand souls. And they continued stedfastly in the apostles' doctrine and fellowship, and in breaking of bread, and in prayers. And fear came upon every soul: and many wonders and signs were done by the apostles. And all that believed were together, and had all things common; And sold their possessions and goods, and parted them to all men, as every man had need. And they, continuing daily with one accord in the temple, and breaking bread from house to house, did eat their meat with gladness and singleness of heart, Praising God, and having favour with all the people. And the Lord added to the church daily such as should be saved'. Do you see it? Here is the outworking of what the Lord Jesus is talking about, that whatever we lose in one society for His sake and the gospel's will be restored a hundredfold, 10,000%, in the new society that God is creating by grace. Now maybe you're doubting that this is the meaning of the passage? Well, note an omission in verse 30 from the list of things that the Lord Jesus implies that we may lose in verse 29. They omission is simply: 'father'. Father is mentioned in verse 29, that we may have left father, but father is not mentioned in verse 30 - it's omitted. The simple and obvious reason for this is that there is a Father in our new spiritual family, and that is our Heavenly Father who unites us all together as the family of God. He is the Head. So what the Lord Jesus is saying is regarding temporal reward now, if we lose any of these things. If we've lost a house, we have got hospitality in the homes of the Lord's people - and many servants of the Lord over the years have experienced that, including myself. If we have lost a brother or sisters, we will have new brothers and sisters in the family of God. If we have lost children, we will gain new children in the family of God. Campbell Morgan put it like this: 'One house gone, but a hundred doors are open. One brother in the flesh lost, but a thousand brothers in the Spirit, whose love is deeper and whose kinship profounder'. For I'm part of the family, the family of God'. Oh, I don't know - person listening to this today - what you have lost for Christ's sake and the gospel's. But here and now, in this new community of grace in the church of Jesus Christ, the Lord Jesus is able to give you 10,000% more in the family of God! But please note - it would be very easy to miss it - at the end of this list of recompense in verse 30 the Lord mentions, after children and lands, 'with persecutions'. You know, He's still talking here about reward, and it's almost as if He's including this as one of the privileges - that if we lose people, relationships, and possessions for Christ, one of the privileges is that we'll be persecuted and suffer for Him. You remember that that was the exact same outlook as the apostles in Acts chapter 5 and verse 41, and it says that the apostles: 'departed from the presence of the council, rejoicing that they were counted worthy to suffer shame for his name'. It's a privilege, He's saying! Now I think this is implying that the foregoing of these things listed in verse 29 not only applies to those who have let go of people and possessions to follow the Lord in service, but also it applies to those who suffer loss of these things through persecution and suffering for the Lord. Now, for the Christians in Rome, that we believe Mark was initially writing this gospel for, or who were reading this gospel at least, suffering was the normal Christian experience for them. That's why Peter, interestingly Peter, in his epistle writes, 1 Peter 4: 'If ye be reproached for the name of Christ, happy are ye; for the spirit of glory and of God resteth upon you: on their part he is evil spoken of, but on your part he is glorified. Yet if any man suffer as a Christian, let him not be ashamed; but let him glorify God on this behalf'. 'Count it all joy', James says, 'when you enter into divers temptations'. Now, I think it's obvious that this abolishes this prosperity teaching that we hear so often today. It also takes away in interpretation from these verses any idea of a quid pro quo, a favour for a favour from God - if we give up this, He'll give us that; You scratch my back, I'll scratch Yours - banish the thought of that! That has got nothing to do with this passage of Scripture! Now I believe God blesses those who give, and the Bible does teach that. There can be, at times, certain material possessions that come our way, but that is not what the Scripture is teaching. We've got to get away from the motivation that Peter had, and that's what prosperity teaching betrays - Peter asked: 'What can I get out of it? I've given all this up, unlike the rich young ruler, what can I get out of it?'. Do you know what the answer was that the Lord gave him now? Let's get it, here's what you get now Peter, here and now: a hundredfold in the blessings of God's family, and persecutions. Now that'll not get much rating on cable or satellite television! What do we get out of sacrifice for Christ? A hundredfold in blessings in God's family, and persecution. You see, the Lord Jesus - and we have seen this very clearly from this gospel of the cross - never offered an easy way to anyone. Now, yes, praise God, we celebrate the gospel of grace by faith - which means that to become a Christian it costs you nothing, it's by faith alone. But to be a Christian, to live a Christian life following Christ in discipleship, it costs everything! We're not thinking of the things that we give up, we're thinking of giving up ourselves! But the Lord Jesus did not just mention temporal reward, at the end of verse 30 He mentions eternal reward. Now, let me be clear on this, because we know that eternal life, the whole New Testament teaches that eternal life is a gift of God. It is not a reward, it is not something we gain or earn by our effort. So we might ask, 'Well then, why does the Lord Jesus add on here that if we give any of these things up, because we have given up our heart to the Lord, that we will receive as a reward in the world to come eternal life?'. That's what it seems to imply. Well, perhaps the thought is that part of the reward will be a greater capacity to enjoy eternal life in heaven. So it's not getting eternal life, but a greater capacity to enjoy it. The New Testament does indicate in many places that there will be a gradation of rewards in heaven according to how we have lived on earth. But perhaps the meaning might be more accurate when we consider that this term 'in the world to come' is literally 'in the age to come', and that often refers to the millennium, the thousand year reign of Christ, and reward is always central to that thousand year reign of Christ on the earth. So it may be indicating that, according to how we have sacrificed for the Lord here and now, we will enjoy eternal life in millennial blessings, in wonderful millennial blessings. So the reward in itself is not the eternal life as such, but how we enjoy the eternal life. Whilst many a man may stand well in the judgement of this world, or even the judgement of the church, or the judgement of himself - but God's evaluation, Peter, is very different! But in all of this, let us not lose the point of this message: the Lord Jesus is saying, 'For my sake and the gospel's'. We must be sure that our motivation is right! What is our motivation for living to Christ? Peter says: 'We have given all this up, what do we get for it?'. Maybe there is a tone of self-pity - everybody else is living on a pig's back, and the Christian is suffering. Maybe I'm talking to people in lands where you are experiencing terrible persecution for your faith in Christ? The well-known industrialist of some years ago, R. G. LeTourneau, used to say: 'If you give because it pays, it won't pay'. If we sacrifice only to get reward, that reward will never come. Was this the reason why Peter was given verse 31, was it directly to him? 'But many that are first shall be last; and the last first'. Was it a rebuke to Peter in this very area? Peter, who was weighing up his own performance, measuring it to the rich young ruler - was the Lord saying: 'Peter, the ultimate judgements are with God'? Whilst many a man may stand well in the judgement of this world, or even the judgement of the church, or the judgement of himself - but God's evaluation, Peter, is very different! Yet verse 31: 'Many that are first shall be last; and the last first', has a wonderful principle, and really sums up this whole teaching very well. The Lord, I think, is saying: 'Whatever it seems you have lost out on in this life, you will never lose out ultimately' - that's the message! You can't lose if you've lost your heart to Jesus! You can't lose! You see, the point is: reward is not measured on time, how much time you give to Jesus; reward is not measured on how much money you give to Jesus; how many houses, lands, possessions, positions you give to Jesus; how much success you've had on His behalf; or the sacrifice of things, people, relationships - but reward is measured by the heart devotion you have to Jesus! All these other things follow after that. How is your heart devotion to the Lord Jesus? Does He have your heart? It's all He really wants: 'Sacrifice and offering and thou wouldest not...but a broken and a contrite heart', that's what He wants. So the Lord Jesus is saying to Peter - as he comes pitifully, self-pityingly, asking: 'Lord, look, behold, we have left all and have followed Thee' - 'Peter, you can't lose if you've lost your heart to Me. Peter, understand this, temporally, here and now, you will receive a hundredfold in the new family of God and persecutions', that means glory, 'and in the age to come the enjoyment of eternal life with millennial and eternal blessings'. Truly you can't lose if you are a servant of the Suffering Servant on the Calvary Road, where the suffering is before the glory, and the cross before the crown. O God, help us to learn the lessons that so often it seems the disciples missed - and we are no different, we have missed them too, Lord. Help us to be like Studd, and Elliot, and Livingstone especially, who said: 'I never made a sacrifice'. I never made a sacrifice! Of this we ought not to talk when we remember the great sacrifice of Your Son, who left Your right hand on high to give Himself for us. We ought not to talk of sacrifice. We ought not to be motivated by reward, but by devotion. Yet, Father, we thank You that there is blessed temporal and eternal reward that we are not worthy of, but we say to You today: 'May the slain Lamb receive the reward of the sacrifice, and all the glory, for He alone is worthy'. Amen. 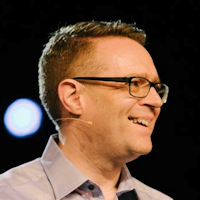 This sermon was delivered in Belfast, Northern Ireland, by David Legge. It was transcribed from the forty-sixth recording in his 'Studies In Mark' series, entitled "You Can't Lose" - Transcribed by Andrew Watkins, Preach The Word.